Earlier this week I wrote about the drug-cartel murders in Juarez, Mexico, and mentioned Charles Bowden, a journalist who has been covering the situation for over a decade. 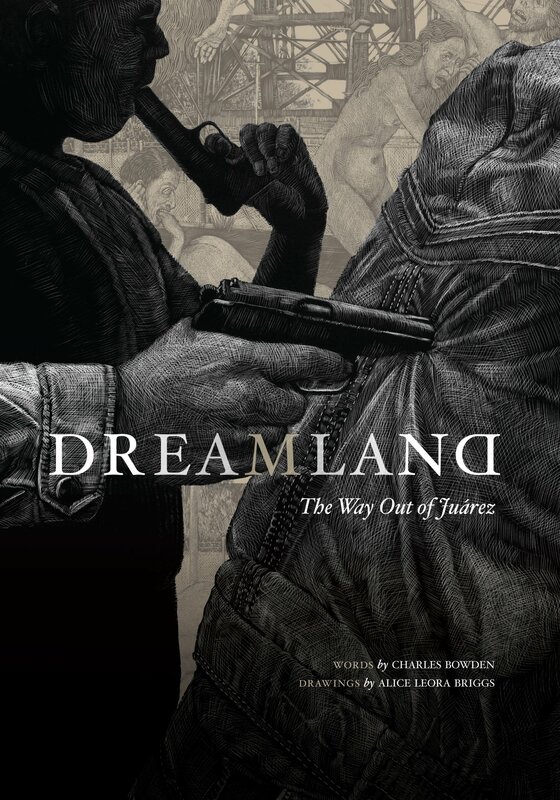 He recently spoke with On The Media about a new book, Dreamland: The Way Out of Juarez , a mix of journalism and evocative, literary expression with haunting illustrations by Alice Leora Briggs. Posted by Meg Holle in Death + Art / Architecture, Death + Crime, Death Ethics and tagged homicide, Mexico, writing. Bookmark the permalink. Today I heard your journey has ended. You watched and fed the birds.